Lightning Strikes is a seminar name which immediately draws attention, but this was not education about severe weather. 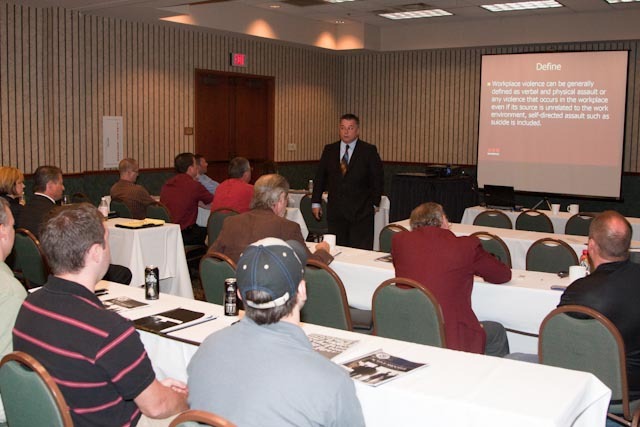 In June 2011, ASIS Evansville members joined with other business leaders and law enforcement in our area to learn more about the very real possibility of having an active shooter situation. 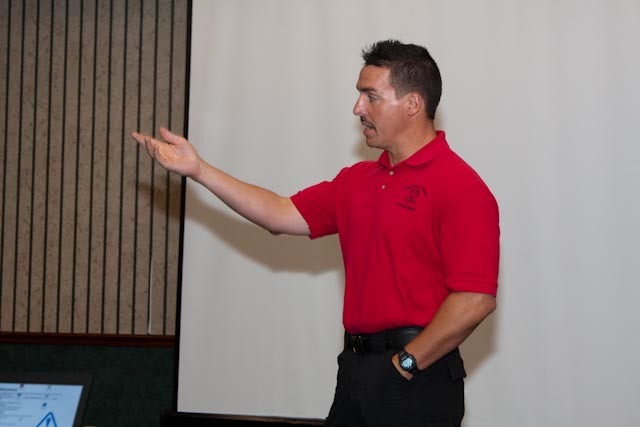 Most everyone in security understands an active shooter situation can happen ay anytime in any type of business. Tim Gritton, Securitas Security Services, Area Vice President explained mroe information to the group about the backgrounds of these situations as well as facilitated a recorded ASIS webinar. Tim, a member of the FBI civilian advisory board, has experience with two work place violence incidents and has helped many organizations develop plans and procedures for dealing with a work place violence incident. Not only did those at this exciting seminar learn about how to prepare for and handle their situation from the internal security standpoint, the Evansville Police Department Special Operations Section also discussed their response process and took questions. To ensure a safe response for everyone, it’s very important for security professionals to understand how they’ll respond and what to expect when law enforcement arrives on scene.